Once laptops could routinely dispatch grandmasters ... it became possible to integrate their analysis fully into other aspects of the game. Commentators at major tournaments now consult computers to check their judgment. Online, fans get excited when their own “engines” discover moves the players miss. And elite grandmasters use computers to test their opening plans and generate new ideas. [Chess-playing programs] are not perfect; sometimes long-term strategy still eludes them. But players have learned from computers that some kinds of chess positions are playable, or even advantageous, even though they might violate general principles. Having seen how machines go about attacking and especially defending, humans have become emboldened to try the same ideas.... [A] study published on ChessBase.com earlier this year showed that in the tournament Mr. Carlsen won to qualify for the world championship match, he played more like a computer than any of his opponents. The net effect of the gain in computer skill is thus, ironically, a gain in human skill. Humans — at least the best ones—are getting better at playing chess. The whole article is well worth a read (h/t Gary Rosen). 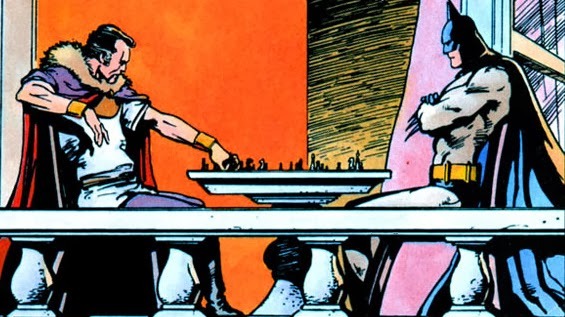 Then again, who knows — maybe we can try to become bats and play chess.